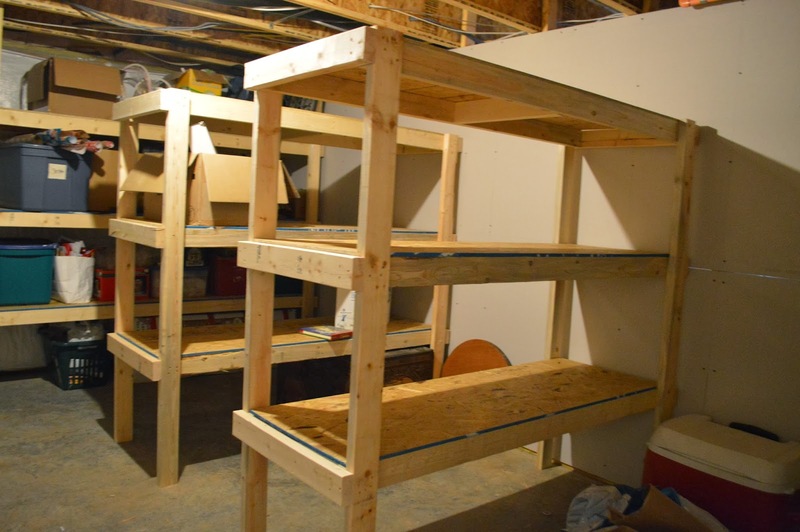 I wanted to take a minute to show you our unfinished basement and how my hubby built some storage shelves. 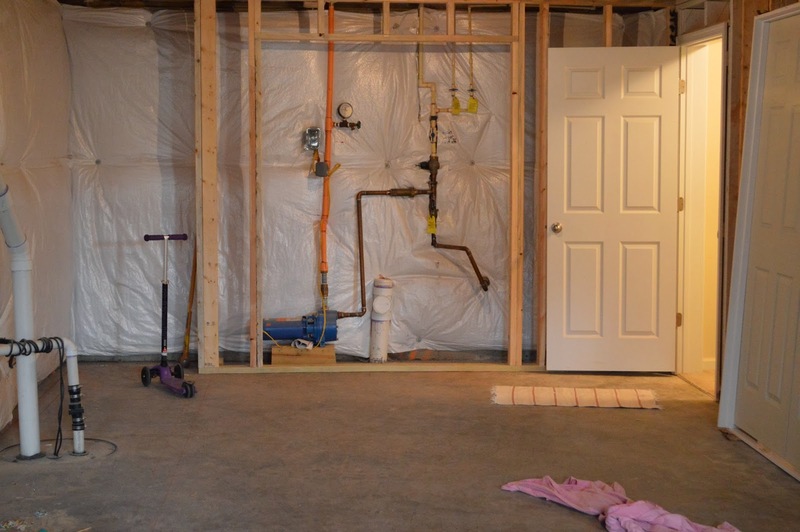 This space has much potential and we are just starting to make it into a more usable space. Steve drew out plans for the basement when we first moved in to section it off into some different rooms (he's an engineer). 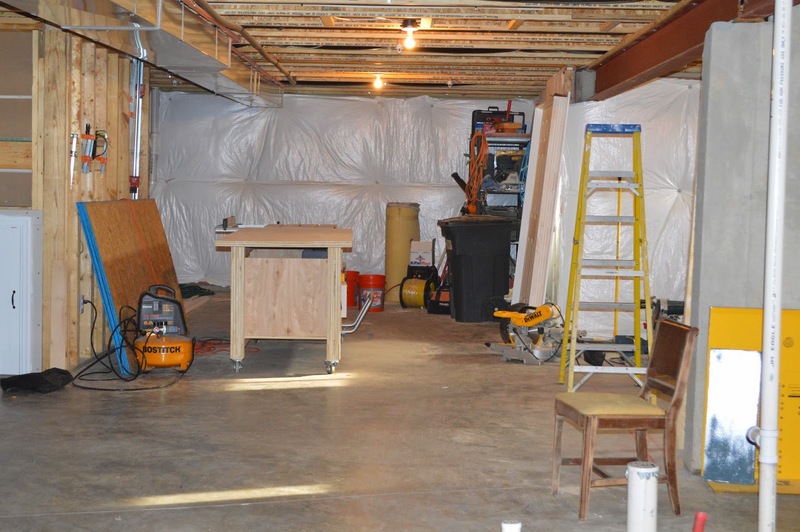 This side will be a wood shop area (aka, man cave) and you can see the little white door, on the left, where we made a small play area, under the stairs for our children. Some work has already started but there is much more to do. This is the first wall we put up. The basement right now has been super fun for our girls as a pseudo-scooter park during the cold winter. Welcome to the Lumbar Yard! 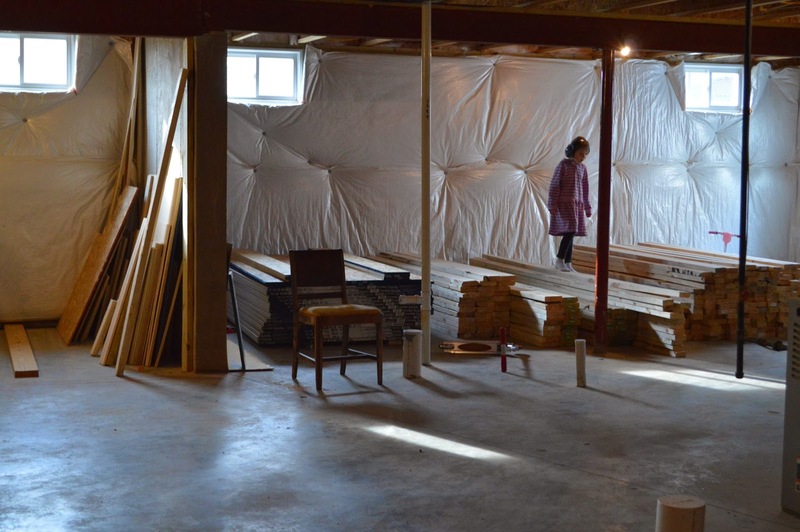 We ordered wood and drywall from a local lumber yard to start framing. 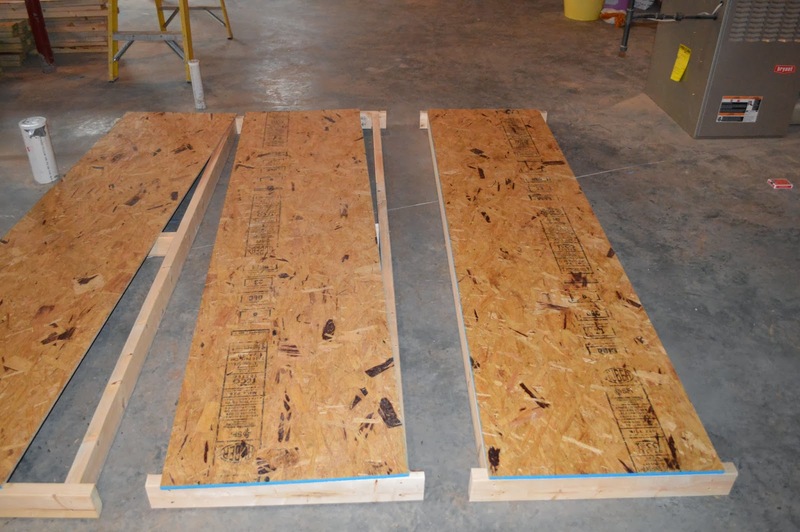 8' x 2' of 1/2" plywood (3 pieces) - These are the shelf tops. If you buy your plywood from Lowes or Home Depot, they will rip the plywood for you in the store. This makes it a lot easier to bring home! We started to lay out the lumber. 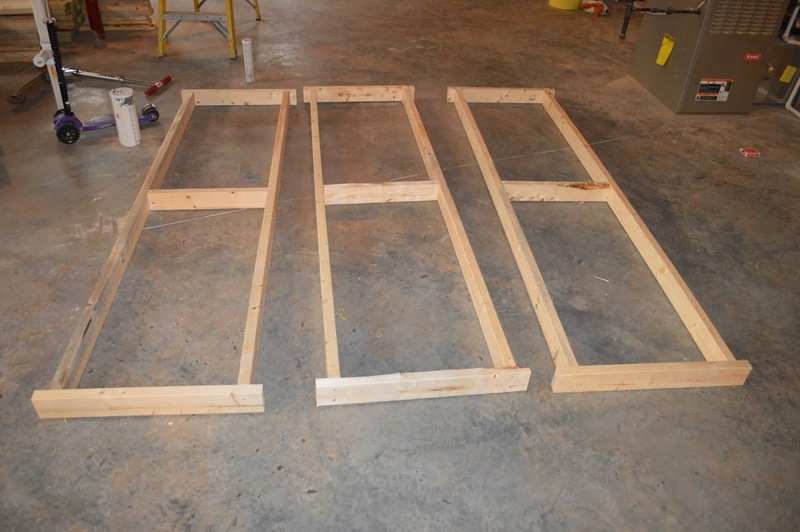 Shown here are the end pieces for the shelf supports. Then we added the plywood tops. Then all you need to do is nail the legs in place at the desired heights. We spaced our shelves 2' apart. 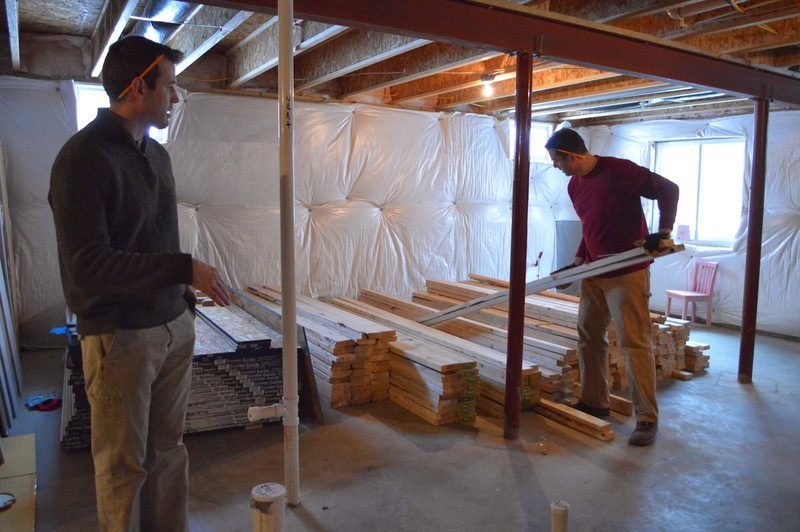 My sister-in law and I tease our husbands that they are like HGTV's Property Brothers! Ha! 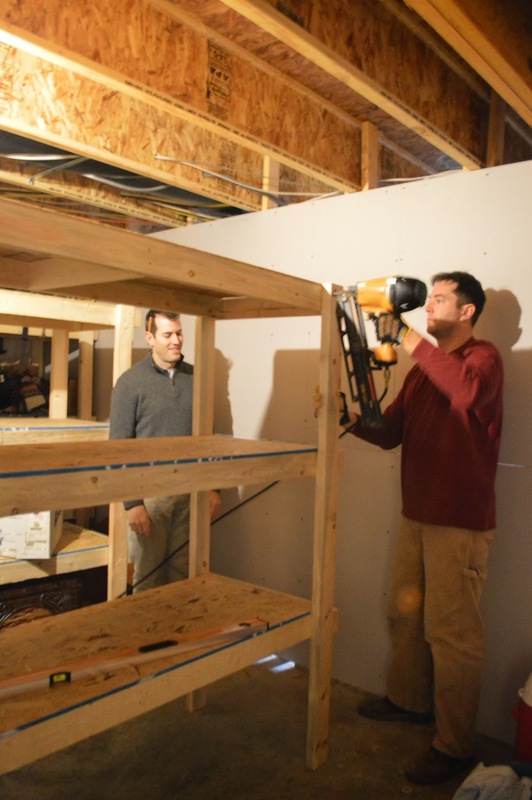 They each needed to take a turn to look cool with the big nail gun. We built three sets of these shelves (the closer two we made a bit shorter (6'). 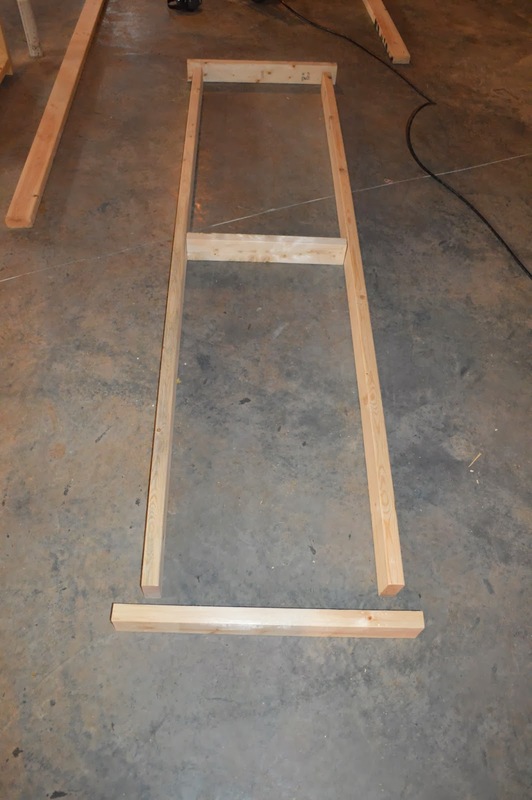 These super sturdy shelves cost about $40 each in material and not too long to make. They are a great addition for storage downstairs. Thanks Mike for your help! Now- onto making it look good and organized! 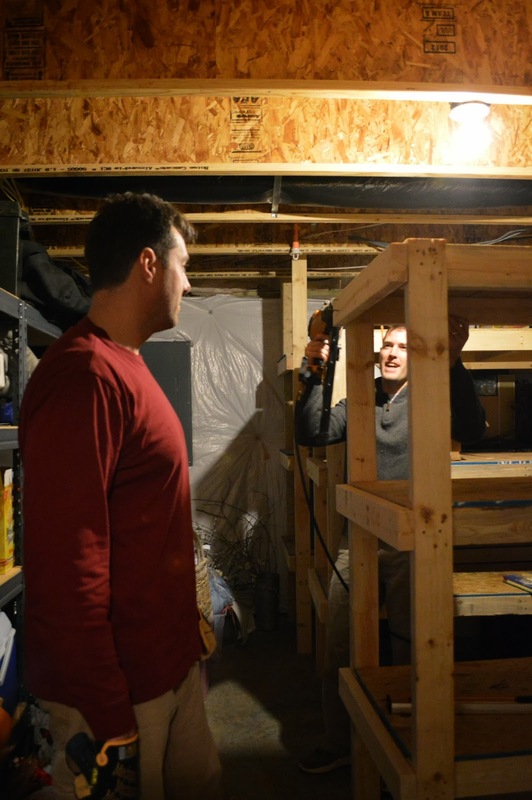 Have you ever built storage shelves or worked on making rooms in your basement? I would love to hear about it! Once the shelves are assembled decide where you will be hanging them and mount iron hooks on the ceiling. 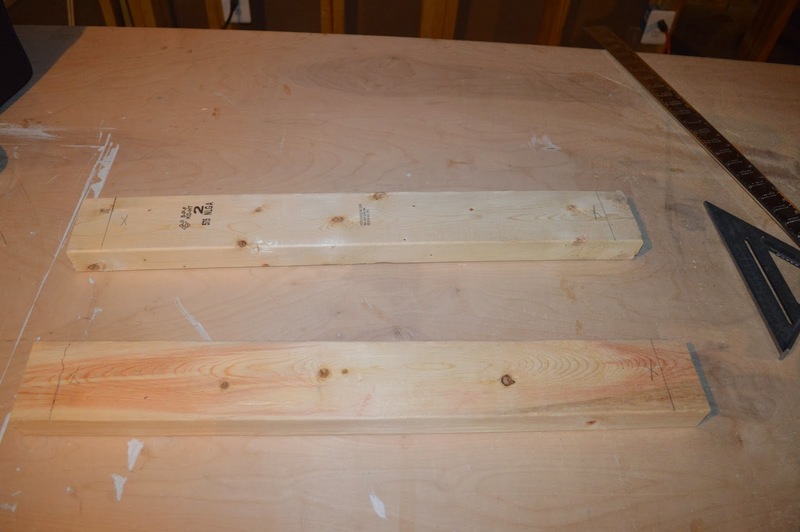 If your basement ceiling has bare beams on the ceiling you can mount the hooks on the beams. How did you secure the shelving stacks to ensure they couldn't fall over? to the ceiling joist? to the wall? Thanks.